Today is Memorial Day and most everyone is enjoying their long weekend with family and friends. I do that too, but I also reflect on what Memorial Day really means. Memorial Day is about the ultimate sacrifice our men and women have paid so we can live free and enjoy holiday weekends like these. Memorial Day is a day to pay respect to all those who have ever lost their lives in battle, and for those who like me, also lost body parts while fighting for the freedom this country enjoys. I also hope we remember and honor the lesbian, gay, bisexual, and transgender servicemembers who have long been in our ranks since this country’s independence in 1776; LGBT military members has worn the uniform through every battle we’ve fought. 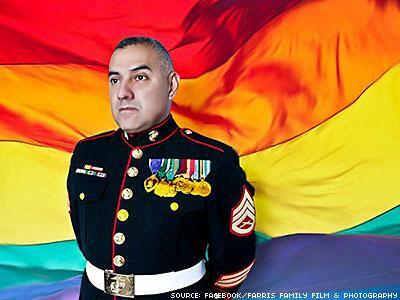 Today, I will especially reflect on every single LGBT service member no longer with us. One in particular is Charles Stevens, of Decatur, Ga. Charles was a gay veteran of the United States Navy who served in World War II and the Korean conflict. Charles was a longtime member of the Georgia Chapter of American Veterans for Equal Rights, as well as a gay activist. Charles passed away a couple of weeks ago, but I was so fortunate and blessed to have met him last year. Another veteran who will always be dear to my heart, even though I never met him, is Leonard Matlovich. Leonard, like me, is a Purple Heart recipient. Appearing on the cover of Time in 1975, Leonard was the first to put a face and name to LGBT people serving in our military. There are thousands and thousands more LGBT servicemembers like Charles and Leonard that we must never forget.